I am fascinated by the growth of Torchy’s Tacos. I live in the North Dallas area and there are so many places to eat tacos that you might think it’s not worth the competition. Well, you are wrong. It is thriving. What are they doing that you can learn from? A personal friend first spoke to us about Torchy’s Tacos about six years ago. They had started in Austin and were branching out to the Dallas area. He was working for them and loved their approach to doing business. He felt excited to be a part. The founder, Michael Rypka, started out as a fry cook at Popeye’s. He wanted to elevate the level of tacos available. He started small and handed out samples to all who would take them. As you grow, make sure everyone retains the passion of the founder. These are not your tia’s tacos. They are unique and delicious. They have weird names like Tipsy Chick, The Democrat, The Republican, Trailer Park, etc. The ingredients are fresh and made to order. For that reason, it can take a little longer than some places, but it is worth the wait. Take a fresh approach to your branding and product. One of the most refreshing parts of going to Torchy’s is that the people who work there seem to like doing so. They were crazy busy when we were there and yet kept checking on us. Even when they make a mistake, they correct it. Provide superior customer service consistently. I am always looking for tacos because it was my first husband’s last meal before he had to go on a feeding tube. Now, if you ever needed to have an excuse to eat tacos – I just gave you one. Here we are celebrating his birthday at Torchy’s. If you have a Torchy’s Tacos in your area, do yourself a favor and go visit them. You will not be disappointed. 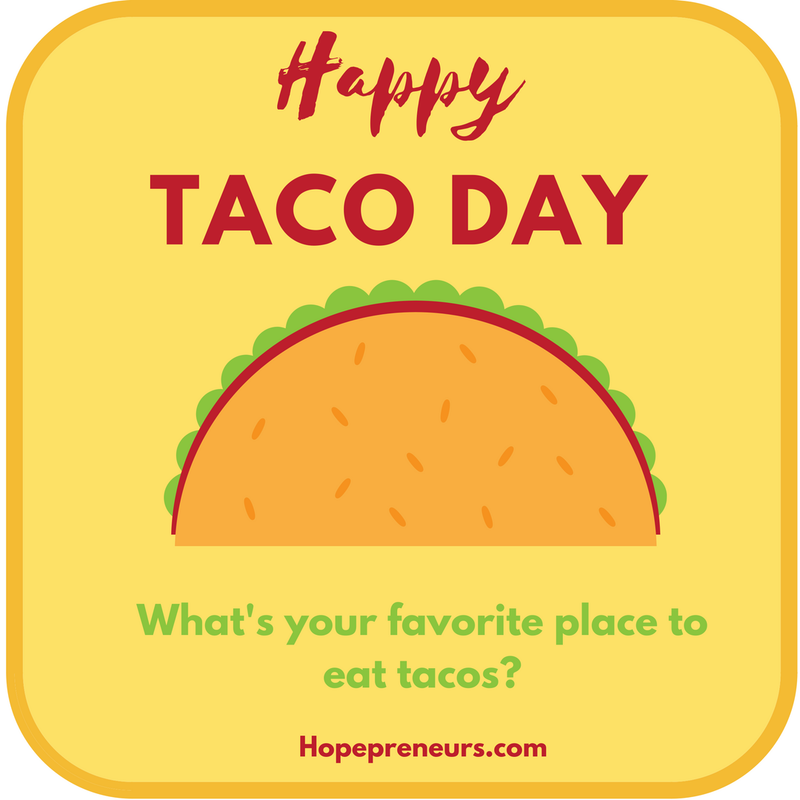 What is your favorite place to eat tacos? Why?